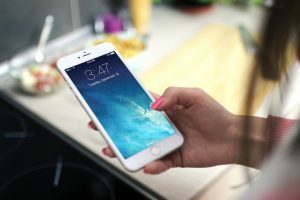 The Canadian Radio-television Telecommunications Commission (CRTC) has initiated a proceeding to examine the retail sales practices of Canada’s large telecommunications carriers. Specifically, the CRTC has asked Canadians to comment on their personal experiences with any misleading or aggressive retail sales practices, including comments from consumers who are vulnerable due to their age, a disability, or a language barrier. The Public Interest Law Centre (PILC) is representing the Manitoba Branch of the Consumers’ Association of Canada (CAC Manitoba) and Winnipeg Harvest on this issue. To date in this proceeding, two realities have been presented to the CRTC. On the one hand, telecommunications carriers have submitted that they have excellent customer service policies and initiatives, they operate complex businesses and existing consumer protections are sufficient. On the other hand, consumers, public interest groups and unions have presented a contrasting reality of lost trust, aggressive, misleading, confusing and overall unsatisfactory sales practices, combined with insufficient and ineffective consumer protections and avenues of redress. Specifically, CAC Manitoba and Winnipeg Harvest, working in collaboration with groups representing persons with disabilities, newcomers, food banks and Indigenous people, conducted engagement with over 1,000 Manitobans over the summer of 2018. These “Manitoba Voices” report on a marketplace that is dominated by a few carriers and where bundled product offerings are increasingly difficult to compare. Vulnerable consumers including persons with disabilities, low income persons, youth and newcomers identify particular concerns with high pressure or misleading sales practices. Many of these “Manitoba Voices” speak of a market which requires exhaustive self advocacy to achieve fair treatment and where unclear or conflicting messages from telecom and broadcast staff appear common place. The CRTC will be holding a public hearing starting on October 22, 2018. PILC has requested to appear on behalf of its clients to urge the CRTC to take action and develop adequate and effective safeguards relating to telecommunications sales practices.